Welcome to the Twigs & Company Event Planning Guide! At Twigs & Company, we want to help turn your Corporate Events dreams into reality! We specialize in floral design for Event Planners and Meeting Planners. Our Event Planner Floral Service can handle your corporate events & occasions flowers! At Twigs & Company, we want to help turn your Corporate Events dreams into reality! We specialize in floral design for Event Planners and Meeting Planners. 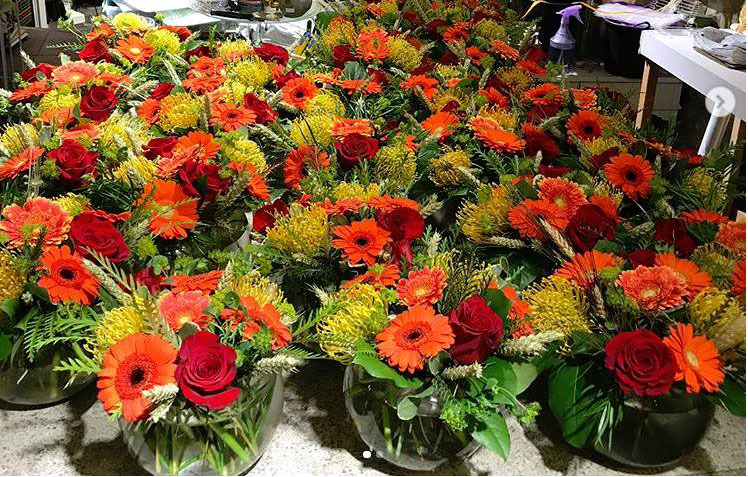 We can provide a wide variety of customized floral services including all your floral needs and centerpieces. We will work with caterers, photographers, and event venues to create the PERFECT LOOK for any event. 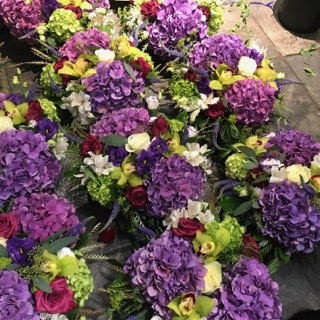 We have a team of professional floral designers on staff, who can supply and create to perfect floral accompaniment to your event. Twigs has over 75 years combined experience creating arrangements for thousands of events! Whether your taste is contemporary, traditional or sophisticated, we will work closely with you so that your event reflects your image and style. Florals are a major element of event décor, and event planners are highly involved in creating the design concept. 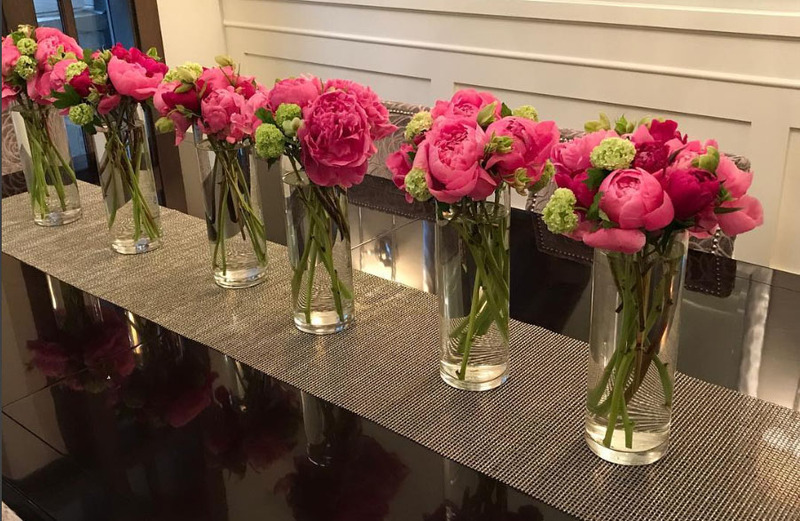 What do you need to know about floral design to enhance your event? Here is a quick guide to floral design to provide you with a working knowledge. As an event planner you’ll plan floral arrangements with us. 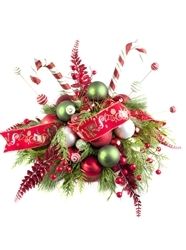 Events typically include flower arrangements, table centerpieces, podium arrangements, and stage arrangements. 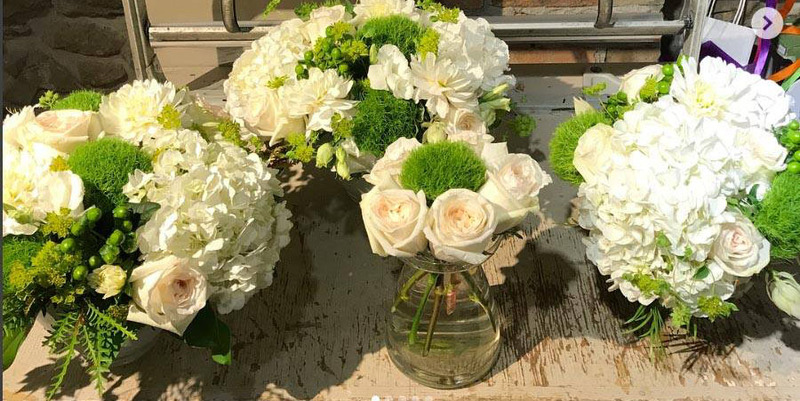 Our knowledge of seasonal blooms will help you choose from the widest selection of available flower options for your event. 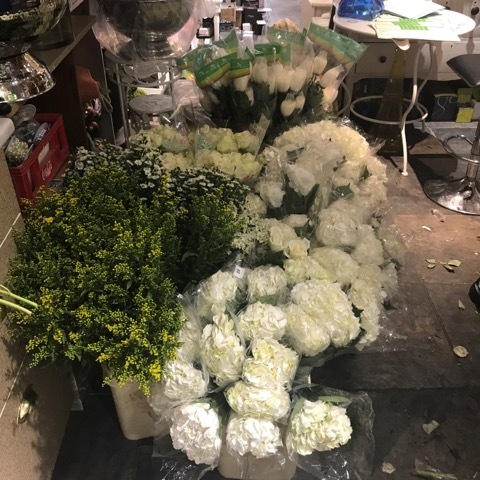 Once a decision has been reached, you can focus on planning & managing your event, and we will handle all the details of the flowers for your function. We will then take on the tasks of ordering flowers, creating the arrangements for the event, as well as delivery to the event venue. Everything we do is planned around your scheduled event time, to ensure optimal floral freshness. We at Twigs cannot imagine a corporate event without flowers. Flowers enhance everyone’s experience. It simply takes your event to the next level. We are familiar with the flowers available in each season. Contact us, and our knowledge of seasonal blooms will help you make appropriate decisions. For events, we typically provide flower arrangements, table centerpieces, podium arrangements, and stage arrangements. 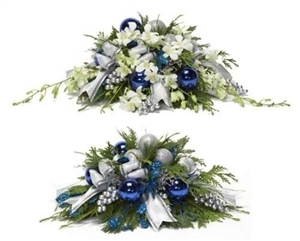 Our website showcases over 100 arrangements and centerpieces to choose from. You can also use these as a starting point for your event’s specific design. Arrangements can be customized with flowers to match the event theme. The next step is selecting the containers or vases. Containers are available in a variety of materials: ceramic, glass, crystal, or metal, and in a variety of finishes and colours. This is also part of our customization programme and adds a special “wow” factor to the arrangements. When you are organizing and planning events, we can do “rush” orders with (almost) no notice. However, for a well-planned event, a 15 to 60 day time horizon is typical, and that allows us to collaborate with you on colours, options, accessories, and budget. This also gives us time for any special orders of containers and decorative accessories for your event. Start your planning with our Contact Form or call us at 403-263-3302. After consultation, to determine your event theme and parameters, will plan and design a sample floral centerpiece for your approval, and finalize all event details. 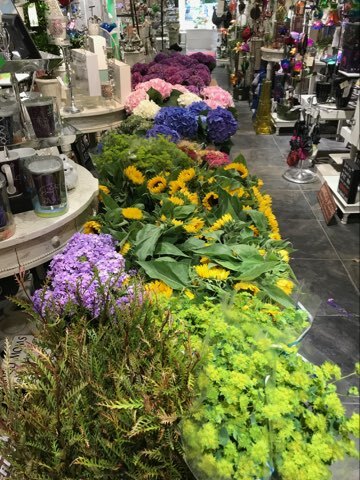 We create our event arrangements in our downtown Calgary store, right on Stephen Avenue walk. 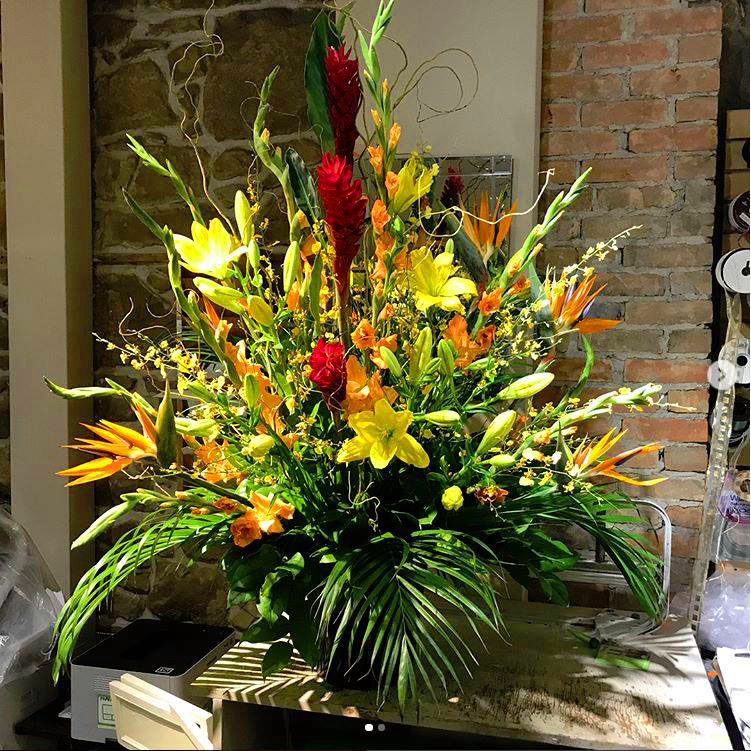 As we create your arrangements we use the flowers fresh from our walk-in cooler. We also have a wide selection of containers and accessories available. 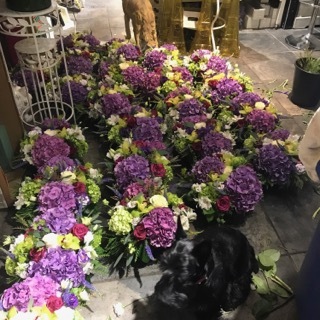 For optimal freshness, our floral designers prepare the event arrangements the day of (or the day before) an event, and we deliver them right to your event venue at the appointed time. 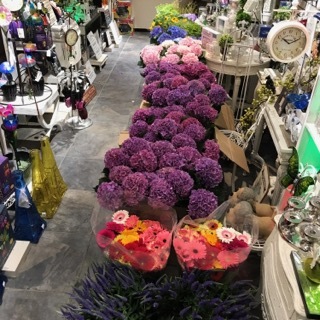 We’ve been involved in thousands of events in our 75 aggregate years as florists and floral designers.